Kos, lies very close to the Asia Minor and 201 nautical miles from Piraeus. It has an area of 290 sq. km., a coastline of 112 km. and a population of 20,000. 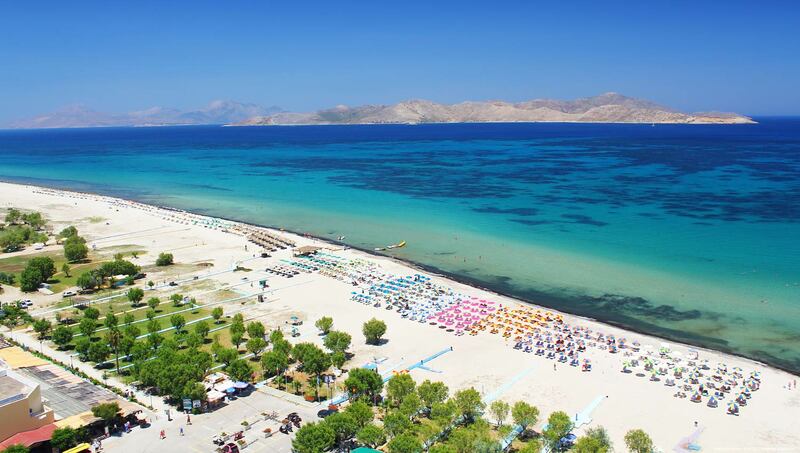 Kos can be reached by air from Athens and Rhodes or by ferry from Piraeus, Rafina, the Cyclades, the islands of the northern and eastern Aegean, Kavala, Crete, Rhodes and the other islands of the Dodecanese. Tigaki lies just away from Kos town on the North part of the island. Is is a long 10 km of white sand beach. The shallow waters make Tigaki ideal for kids and an easy place to swim and have fun with the waves.